Details: 3 BR, 3 BA beachfront residence with 1,385+/- s.f. 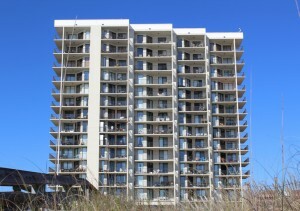 Phoenix East II condo for sale in Orange Beach AL. Absolutely incredible beachfront condo upgraded with high-end granite counter-tops, stainless steel appliances, custom kitchen, wood tile flooring throughout, custom tile showers, high-end furniture on the private balcony overlooking the Gulf of Mexico and the white-sand beaches - there's more, much more. This private low-density complex is perfect with a exceptional rental history - making it an ideal real estate investment and/or private home. Come see this gulf-front condominium today. Phoenix East I-II condos in Orange Beach are adjacent properties that share many amenities. These beachfront residences are great as a real estate investment and/or a second home. The community amenities at these complexes include indoor & beachfront pools, BBQ grills, tennis courts, racquetball courts, saunas, hot tubs and more. The properties are covenient t entertainment, dining and shopping venues.